Danny Etkin is a member of the elite Team Paul Mitchell Karate who specializes in Forms and Weapons competition. He currently holds 60 world titles, and is best-known for his nunchaku skills. Now, Etkin and Century have teamed up to bring you the Danny Etkin Signature Series Nunchaku. 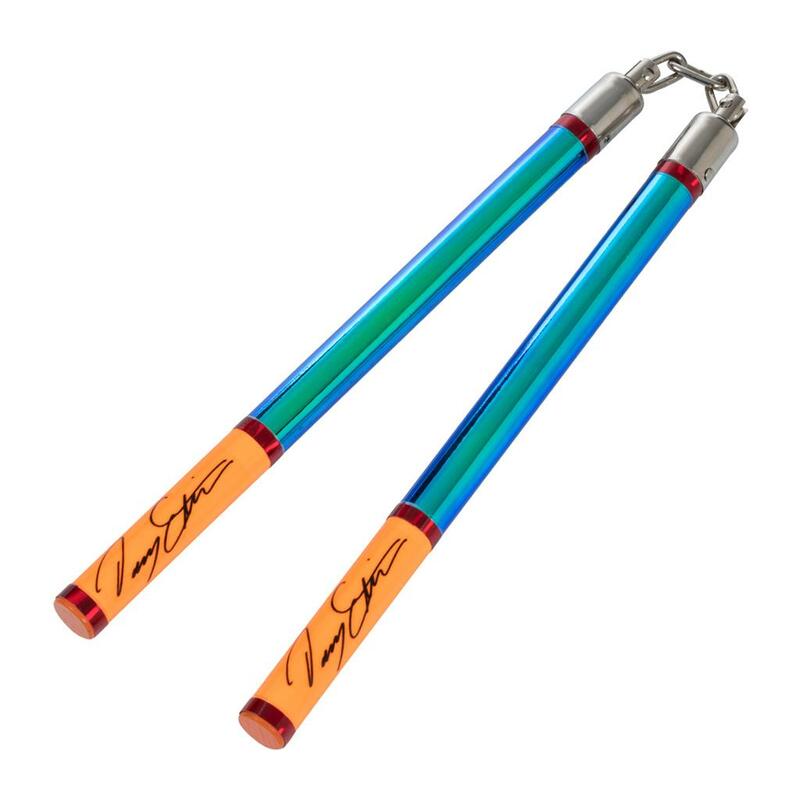 These lightweight wooden nunchaku are covered with Illuminator tape to help you stand out in competition -- and they're the same kind Etkin uses when he competes! Available in 9", 11", and 12" lengths. 9” and 11” have 3 chain links, on the 12” there are 4 chain links. Sold in pairs.. I love these nunchucks, light enough to use. I use one for the tournaments/competitions and one for practice/spare. Though the only small downside is that the chain length is not adjustable enough to add a extra chain link to help maneuver figure 8s and advance nunchuck Katas better. But all in all, the style is awesome!